In today’s society looking after your mental health is paramount. Stress and anxiety can build up quickly and lead to further health issues. Association of Irish Choirs and Mental Health Ireland have teamed up to provide a solution. 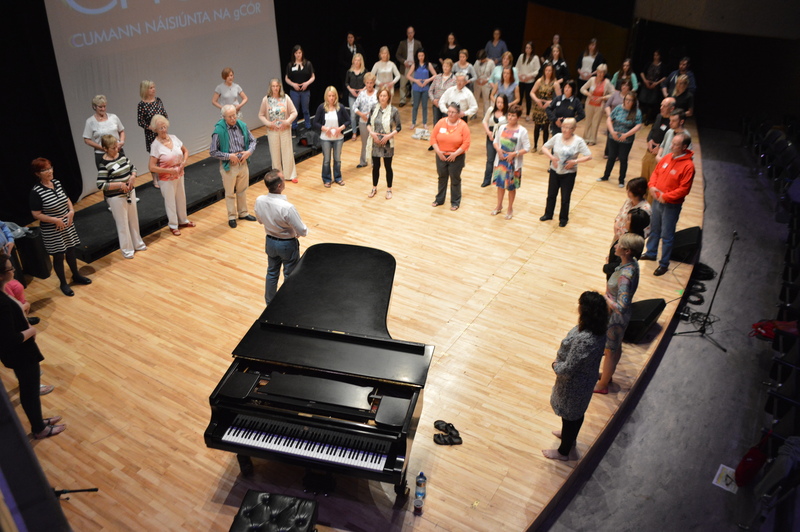 From 4th to 11th October to celebrate National Choral Singing Week and World Mental Health Day (10th October) people from around Ireland are coming together in song as singing in a choir is good for your mental health. Choral singing helps reduce stress, increases the production of endorphins and adrenaline providing a feel good factor. It is a physical workout that brings people together while developing a creative skill. To find out about events in your area see www.aoic.ie/festivals_events_initiatives/national_choral_singing_week, email aoic@ul.ie or find the National Choral Singing event on Facebook. This entry was posted on September 22, 2015 by waterfordarts in Choir, music and tagged art, Arts & Entertainment Waterford, waterfordarts.com.